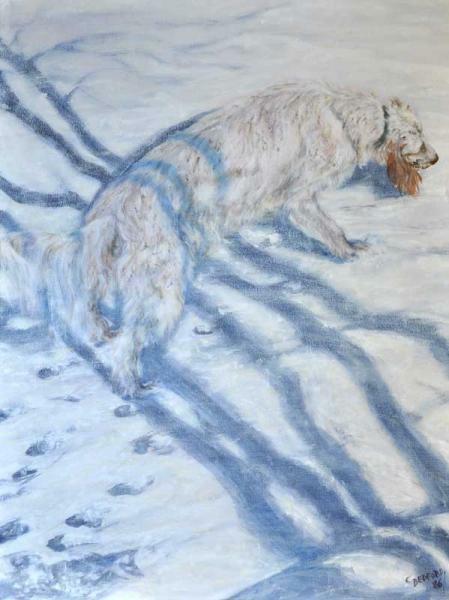 This is a study of my english setter dog in the winter and I noticed how she blended into the snow colour. But all her blond spots was what set her apart from the white colour of snow. I decided to add the shadow across her body to emphasize the shape.